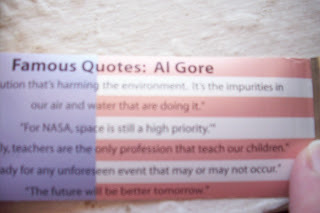 One of my favorite people, Al Gore, his fight to save the plant has been a lone one for so long. 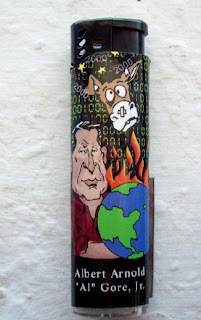 Again the pull-out has Quotes from him and the back has the same donkey thing as the "Bill Clinton Lighter". The pull-out thing works good, goes in and out without a problem. I doubt the outer sticker would stay on very long if it was used normally or got wet. I am cerious about what the lighter looks like underneath the sticker.